Harmony, an ubreakable melamine tableware set available in 2 different colours, blue or beige. The dishes are high density melamine, resistant to being dropped and dishwasher safe. 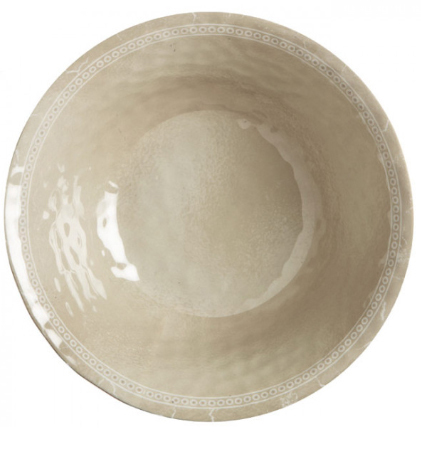 With a simple and elegant design, this tableware has an embassment on the rim and the appearence of porcelain. Instructions: Melamine products are designed for eating, not for cooking. Not for use in the oven or microwave. Suitable for dishwashers. To preserve their shine, avoid using abrasive detergents. To prevent stains caused by tea or coffee, we recommend washing the cups immediately after use. Any design irregularties and differences in these irregularties are part of the production process and should not be considered design faults.